Home Start’s Thrift Boutique social enterprise provides revenue to support our life-changing programs. The store also provides a supportive setting for young mothers in our Maternity Housing Program to develop job skills and gain work experience as they move toward greater independence. Home Start provides a hand up, not just a handout. 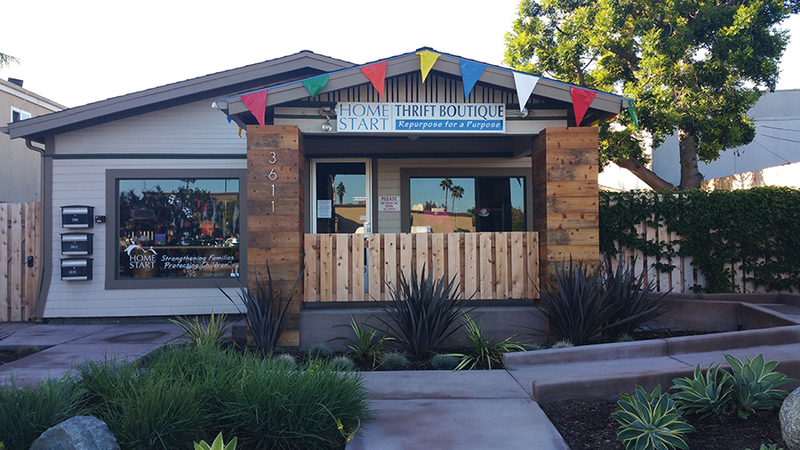 Located at 3611 Adams Avenue in the Normal Heights neighborhood in San Diego, the Thrift Boutique is open Tuesday through Saturday from 11 am to 6 pm. 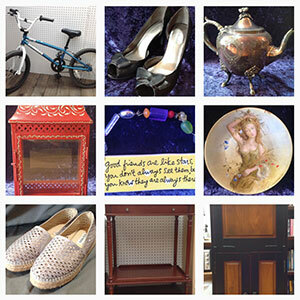 Generous donors help us keep the Boutique stocked with unique gifts, quality clothing, and fine furnishings. Follow the Boutique on Facebook and Instagram for the first look at new items and insider scoops on flash sales and great deals! Daily Deals valid on all regular priced merchandise. Valid ID required. Did you know we have more furniture in the back rooms? 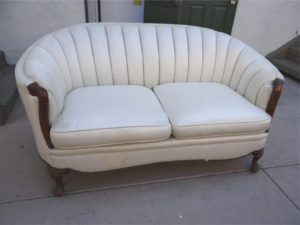 desks, metal filing cabinets, outside patio set, glider/rocking chair and small ottoman, hutch/ cabinets, tables of various shapes and sizes and more! Just ask a friendly sales associate if you are hunting for something specific. The Home Start Thrift Boutique is a dream realized through a generous legacy gift from Margaret “Meg” Jacobs, who died of complications from breast cancer in 2012. 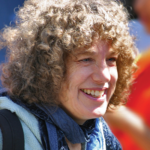 Meg was a social worker who worked at Home Start early in her career. 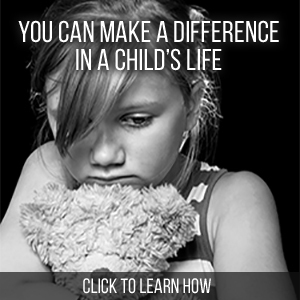 Through this gift, Home Start has touched the lives of so many more children and families in need of our support.